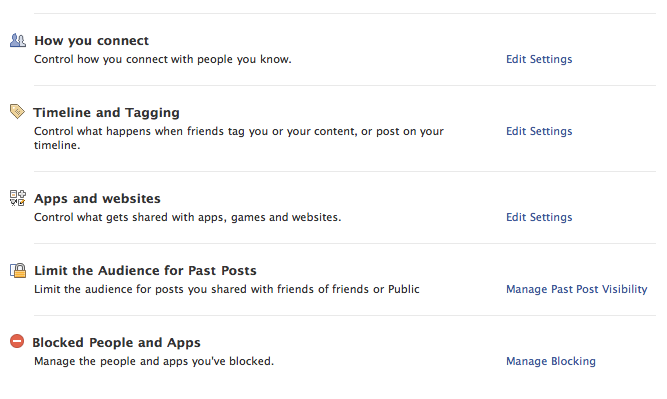 This article will show you how you can configure your Facebook privacy settings. This isn’t telling you what to do step-by-step and you shouldn’t copy the settings you see in the following screenshots, but rather make your own decisions on how private you want your Facebook profile to be. To change any of the privacy settings for your account, you must first click on the little arrow in the top right hand corner of the page, and then click on Privacy Settings. Scroll down to the bottom of the Privacy settings page and you will see how all of the different settings are broken up into categories. 1. How you connect – this allows you to change the way people can search for you on Facebook, who can send you friend requests, and who can send you messages. 2. 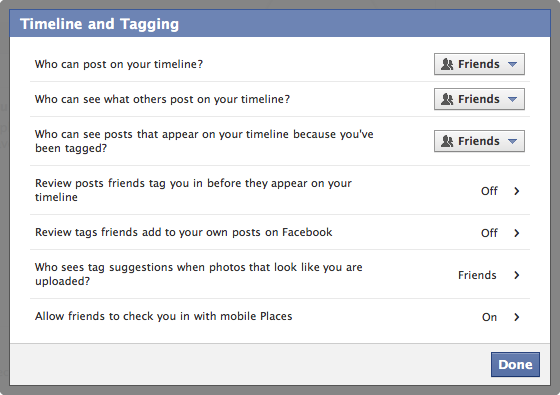 Timeline and Tagging – this allows you to control who can post and view things on your timeline (or wall). It also allows you to approve any tags of you before they are posted for other people to see. 3. 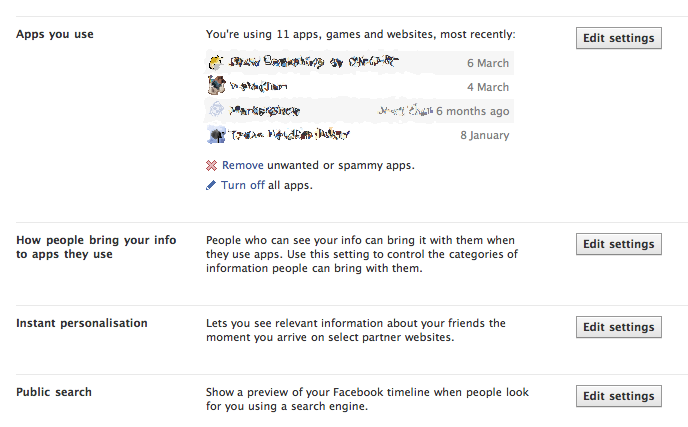 Apps and websites – this allows you to control what third-party websites have access to your Facebook profile. You can also change the access search engines, like Google, have to your profile. 4. Limit the Audience for Past Posts – if you had any public posts in the past, this will change all of them to only be visible by your friends. 5. 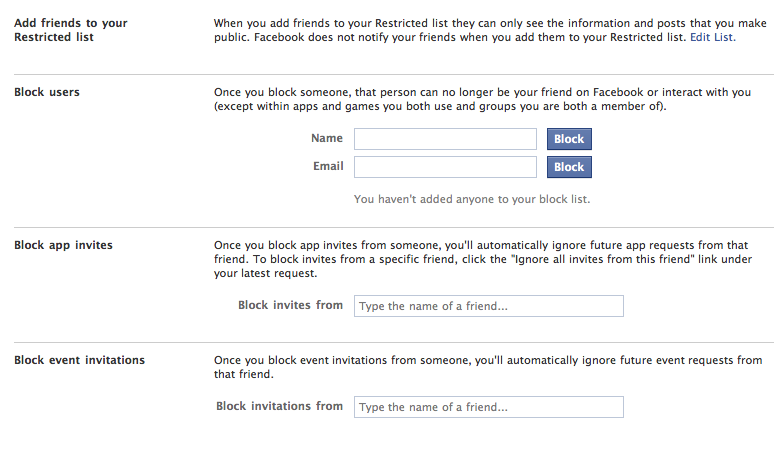 Blocked People and Apps – this allows you to block people, apps, and event invitations.